THE BEST FOOD THERE IS. This is what I've been told since my childhood. I drank some with every meal for a long time, and it sat proudly on the kitchen table. And whereas I often ended up leaving some food on my plate, I always emptied my glass. I would even ask for more. With its immaculate color and creamy coolness, how could you fail to find it comforting? Milk, since it's milk we're talking about, doesn't even need to be named to evoke childhood, abundance, and purity. It is, after all, our first food. Isn't it nature's superfood, too? Which is lucky, since milk is everywhere: in grilled-cheese sandwiches, frozen yogurts, and milk cartons at schools; in government health recommendations; at the heart of our economy: it is our very bread and butter. I still remember Mr. Sealtest. That wasn't his real name. But it was the one written on his truck, spelled in white letters against a red background. Every two days, my mother would place a small card in our kitchen window. For me, it symbolized a promise of happiness. For Mr. Sealtest, it was a sign of our order: a few bags of milk and occasionally some ice cream. I still remember the way he'd say "Hello," his melancholy smile, the small talk about weather that defied the forecasts, vacations that were slow in coming. At the time, if someone had asked me where milk came from, my answer would unhesitatingly have been, "From Mr. Sealtest's truck" (of course, I knew it also came from the grocery store, but theirs was not as good). I loved Mr. Sealtest. I loved milk. Today, I feel as if I used to live in The Truman Show. In this film, Truman Burbank, played by Jim Carrey, is unknowingly the star of a reality show. He lives in a small model town where flowerbeds are elegant and neighbors always courteous. In reality, his neighbors are actors and the city, a film set. When he discovers the deception, Truman is completely disillusioned. As in The Truman Show, my love endured for a long time. And I too ended up completely disillusioned. I saw that I'd had it all wrong the moment I realized that milk is not essential for good health, but rather that certain nutrients are. The proof? Seventy-five percent of all humans cannot digest milk. But if drinking milk is not essential, then raising hundreds of thousands of suffering cows to produce it isn't either. Producing cheese, a process that emits as much CO2 as producing meat, is just as unnecessary. The only reason to drink milk is the enjoyment it brings us. That's a high price to pay for our pleasure. Why was the truth hidden from me? Like Truman, I too felt I'd been duped. I felt like I'd been misled. It is now clear to me that our relationship with milk is built on myths. Contrary to everything everyone ever told us, drinking milk is not natural, necessary, or normal. Even worse, milk consumption can lead to quite a few health problems. Weaning Ourselves off False Beliefs Just as it's often hard to forget a high-school sweetheart, it's also not that easy to wean ourselves off our false beliefs; that is, to give up on myths. Don't we all have some desire to keep on believing? Why are our beliefs so enduring, even after we see that they may be false? In his book The Believing Brain, American psychologist Michael Shermer provides some valuable answers: we are more receptive to arguments that confirm our beliefs than the ones that challenge them, and we are very good at justifying our inconsistencies and believing what suits us best. As Shermer sees it, we are also naturally gullible and open to false beliefs. Myths, religions, and magic have been used for millennia to explain reality, whereas the scientific method is only a few hundred years old. Anecdotes and old wives' tales come to mind easily, while applying science requires effort and more in-depth knowledge. Our brain is more comfortable with intuitions and emotions than with sound research based on hard evidence. Beliefs also bring people together. Sharing a belief makes it possible to form a group and create bonds of solidarity. Birds of a feather flock together: we think the same, so we unite. This is perhaps particularly striking when it comes to religion, but this phenomenon can be seen across all social institutions. A quick browse through the discussion forums of sports team supporters, environmental activists, or moms advocating for breastfeeding will likely be enough to convince you. Which is also the reason why I found it difficult to wean myself off my own false beliefs about milk; doing so somehow made me a traitor to my Québécois identity and the community I belonged to. The liter of milk sits proudly on the checkered tablecloths of our sugar shacks. * This is what we leave out for Santa, to encourage him to take a break between chimneys. This is the treat we give children when they come home from school. It is also the cheese platter we enjoy at dinner parties with friends. In short, by giving up my false beliefs about milk, I was betraying my farmer grandfather, my mother's cooking, and my friends' warm generosity. And last but not least, I was betraying Mr. Sealtest, too. Who Are the Real Cash Cows? According to the dictionary, a "cash cow" is a person who is exploited as a consistent and reliable source of profits. The expression originally referred to real cows used to bring in a steady supply of cash-in the form of milk. 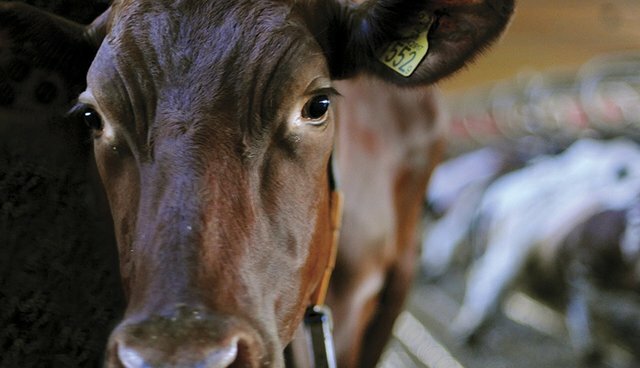 There is no doubt that dairy cows are exploited: after approximately four years of loyal service under slave-like conditions, they will all, without exception, be sent for slaughter and end up as burger meat. However, the expression is usually used figuratively. So let's admit it-in a sense, we are the cash cows of the dairy industry. After many high-profile advertising campaigns and much strategic political lobbying, the industry managed to reach and retain its share of regular, satisfied customers. The economic stakes are high: in Quebec, the dairy sector is the leading agricultural industry and it's among the largest agricultural commodity industries in the United States. And although we drink less milk than we did a few years ago, we're filling our fridges with more and more cheese and yogurt. In the past few years, I've talked a lot about the treatment of animals, marine life, and the environmental consequences of raising livestock. More often than not, people have agreed with me. Several readers have written to tell me that I have inspired them to eat less meat. But when it comes to cheese and yogurt, it's different. Dairy products are held dear. This emotional attachment to milk is a victory for an industry we could-and ought to-challenge seriously. I am not a doctor, a nutritionist, or an animal welfare specialist, but rather a concerned citizen who is not afraid to look at studies and spend hours reading on my couch. I am hardly a shy person either: I love talking to people with greater expertise than I possess. I also love verifying and comparing information, and nitpicking for inconsistencies. And I can say with certainty that inconsistencies in our beliefs about milk abound. After having personally learned so much about milk, I needed to offer a counter-argument to the myths perpetuated by the industry. These pages contain that argument. 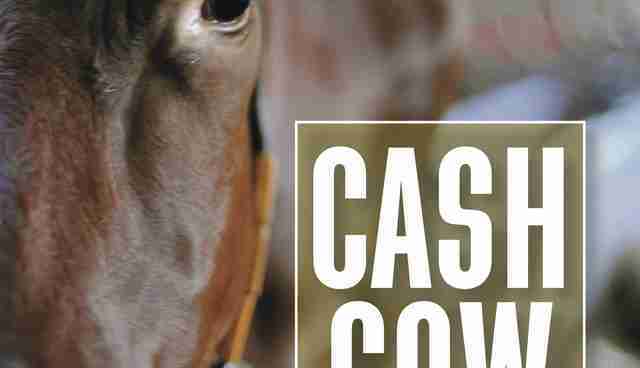 Cash Cow: Ten Myths about the Dairy Industry is by Élise Desaulniers , and available from Lantern Books. Cover photograph by Jo-Anne McArthur, part of her We Animals series.